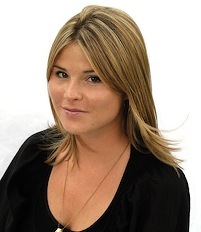 Former First Daughter Jenna Bush, now Jenna Bush Hager, has been named a Washington-based "contributing correspondent" for NBC's Today show. The announcement was made Monday by executive producer Jim Bell, who calls the 27-year-old University of Texas grad "a terrific addition." "In previous appearances, she displayed a natural ability to communicate and connect," he adds in an NBC publicity release. "She has great passion about important subjects, especially education and literacy, and we look forward to having her bring her unique perspective to Today." During formative years, Jenna generally was portrayed as the wilder of the Bush twin daughters. But she since has gotten married, authored two books (one co-written with her mother, Laura Bush), taught elementary school and had an overseas internship with UNICEF. 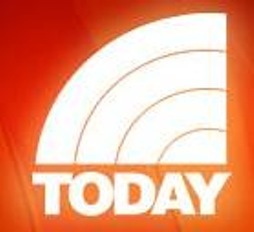 Bush Hager will cover a "variety of human interest and feature stories" for Today, NBC says. ABC's Good Morning America recently hired another prominent raw recruit, naming former Dallas Cowboys cheerleader Melissa Rycroft as a special correspondent. Rycroft first came to national fame as a jilted contestant on ABC's The Bachelor before becoming a finalist on the network's most recent Dancing with the Stars. ****Fox is offering pre-Labor Day "tweet-peats" of two prime-time series, Fringe and Glee. Cast members and producers of both shows will tweet both online and onscreen during the replays. Fox says they'll "provide commentary, answer fan questions, reveal behind-the-scenes secrets and offer exclusive insights" on the new season. The Fringe tweet-peat is Thursday, Sept. 3 at 8 p.m. (central), with Glee's on Friday, Sept. 4th at the same time. Fringe's twitter page is here and Glee's is here.